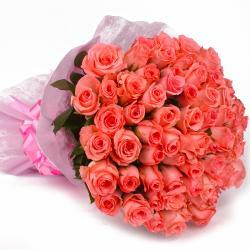 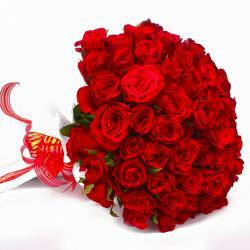 Product Consist : Forty Yellow Roses with green fillers in Cellophane Wrapping with Ribbon Bow on it. 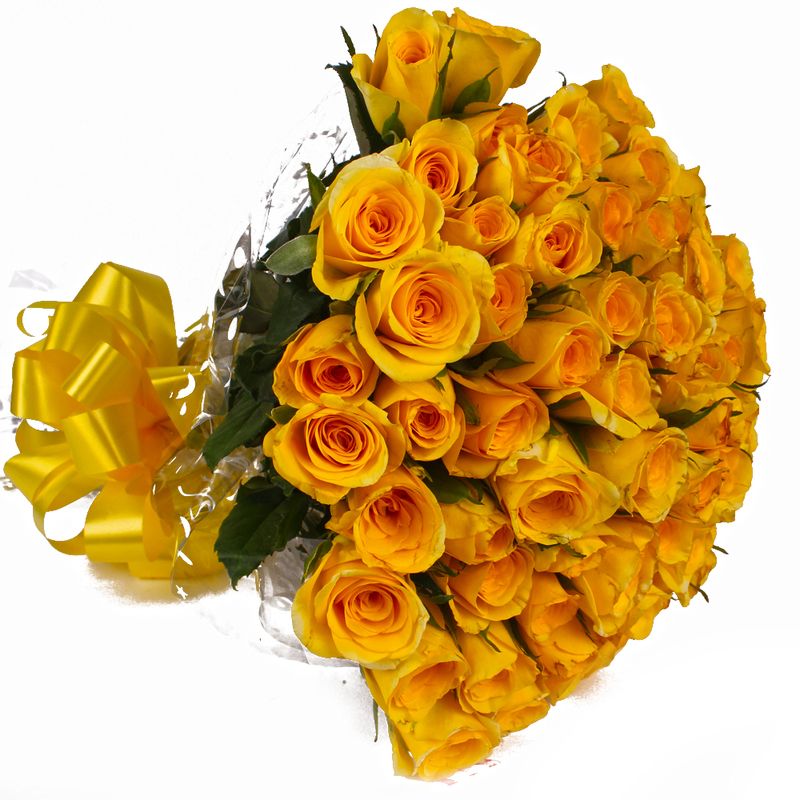 Want your beloved to instantly open her or his heart for you then the ultimate expression of love, long stem of yellow roses with their unmatched beauty. 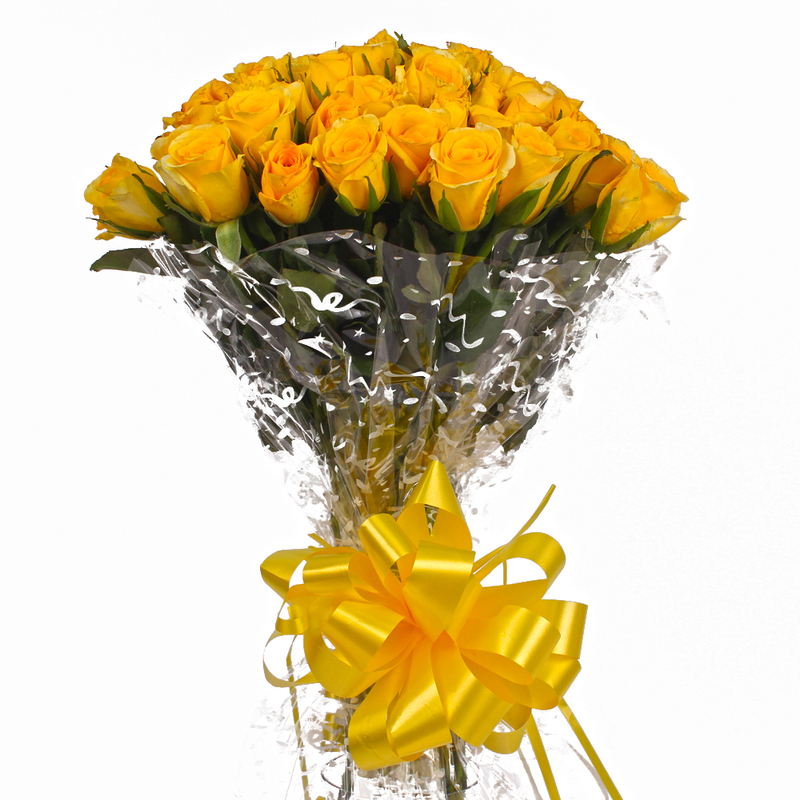 This stunning bunch of forty yellow roses with seasonal filler wrapped beautifully in cellophane packing and completed with a ribbon bow is a stunner and will sweep her or him off her or his feet. 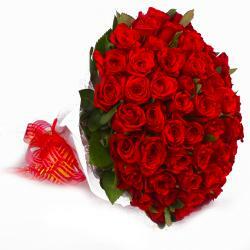 You can gift these enchanting blooms to your family and friends on any special occasion such as Birthday, Anniversary, Best of Luck, Durga Puja, Womens Day, Housewarming, Baby Shower, Baisakhi, Republic Day. 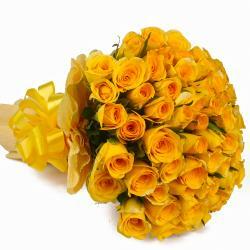 Product Contains : Forty Yellow Roses with green fillers in Cellophane Wrapping with Ribbon Bow on it.